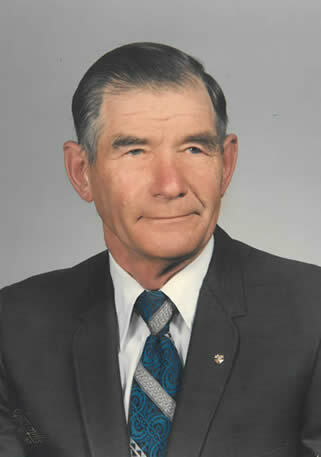 Wilfred Charles Anton, age 92, passed away on Tuesday, July 17, 2018 at CHI St. Alexius Health, Carrington, ND. Willie was born on January 4, 1926, in VanHook, ND to Frank and Amelia (Klinger) Anton, he was the eleventh child out of eighteen children. Willie attended school in VanHook until the eighth grade when he was expected to start helping out on the farm. In 1947 Willie and his family moved to Sykeston. He continued to help around the farm working with his family to keep things afloat. He then moved to Fargo, with his brother, Joe Anton. After a few years he moved into a trailer and was the caretaker of the trailer court that he lived in for many years. He also helped his brother, Joe in a meat shop in West Fargo for a short time all the while he did odd jobs; mowing for neighbors and friends until he was hired as the maintenance man in Blessed Sacrament Church in West Fargo. Wilfred loved his family and friends he would do anything for them. He treasured visiting with people and telling them about the Good old Days! We will really miss him. He was a very kind and soft hearted man. Willie is survived by his sister Magdalene “Mag” Giesen, Stanley, ND and sister-in-law, Mary Ann Anton, Winstead, MN, and many nieces and nephews. He was preceded in death by his parents; sixteen of his siblings John (Marie) Anton, Mary (John) Heinze, Caroline (John) Meyer, Phillip (Florence) Anton, Katie (John) Morton, Gertrude “Gertie” (Alfred) Oberst, Joseph “Joe” (Helen) Anton, Raymond (Lillian) & (Nora) Anton, Leander (Lorraine) Anton, Herbert “Herbie” (Lillian) Anton, Florence Anton, Lorenz (Angeline) Anton, Barnard Anton, Anthony “Tony “ Giesen, Lucille (Lyle) Speldrich, Eugene “Slim” Anton, Edmund “Butch” (Gloria) & (Jerri) Anton. Visitation will be held Tuesday 9:00AM – 4:30PM at Evans Funeral Home, Carrington and will continue from 6PM-7PM at church with a Rosary Service at 6:45 PM followed by a Vigil Service at 7:00 PM all at St. Elizabeth’s Catholic Church, Sykeston. Mass of Christian Burial will be held Wednesday, July 25, 2018, at 1:30 PM in St. Elizabeth’s Catholic Church, Sykeston. Burial will be in St. Elizabeth’s Catholic Cemetery, Sykeston. Message: Sorry to hear of Willie’s passing. He lived along life . I was a friend of Gene and Butch but remember Willie as well. My parents were Myrtle and Ted Kutz and I remember fondly all the old neighbors and friends. My sympathy to is family. You have our sympathy and our prayers are with you.